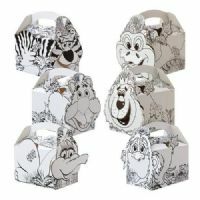 Our brightly themed childrens' meal and party boxes come in different designs so you're bound to find the one you're looking for. 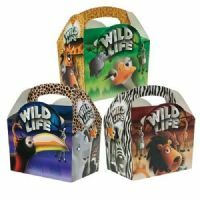 These boxes are brilliant for parties, kids play centres and cafes and are made from 100% biodegradable and recyclable card. 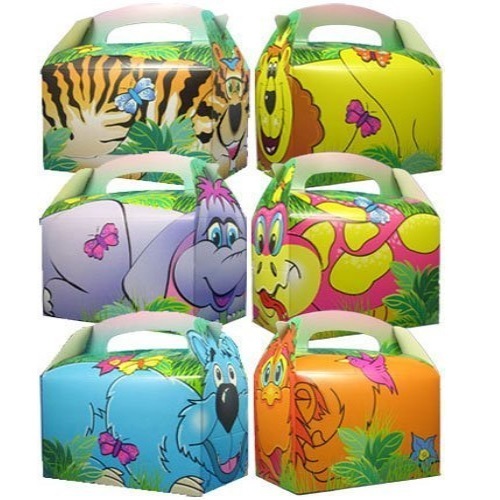 You will receive a random mix of Animals dependant upon the quantity ordered.